Involves the use of water for pain relief, improving range of motion, strengthening and improving function. The term encompasses a broad range of treatment methods that take advantage of the physical properties of water. When moving in water the weight/pressure on joints are reduced due to the buoyancy effect of water. Water is thicker than air so there is increased resistance when moving in water and this resistance can be changed by altering the speed of movement. Most Hydrotherapy pools are also kept warm (31*c) which has benefits for tight muscles. Finally, water also offers external hydrostatic pressure which can benefit people with poor circulation. 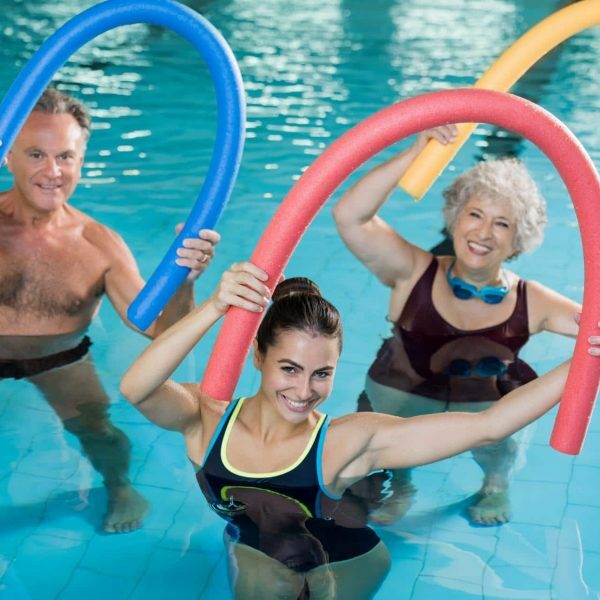 People of all ages and abilities can gain benefit from Hydrotherapy. You don’t need to know how to swim to perform Hydrotherapy and it is regularly used to treat chronic conditions, post-surgery rehabilitation, as well as gaining joint range, strength and fitness. It is ideal for those that find it difficult to exercise on land because of pain or reduced function.